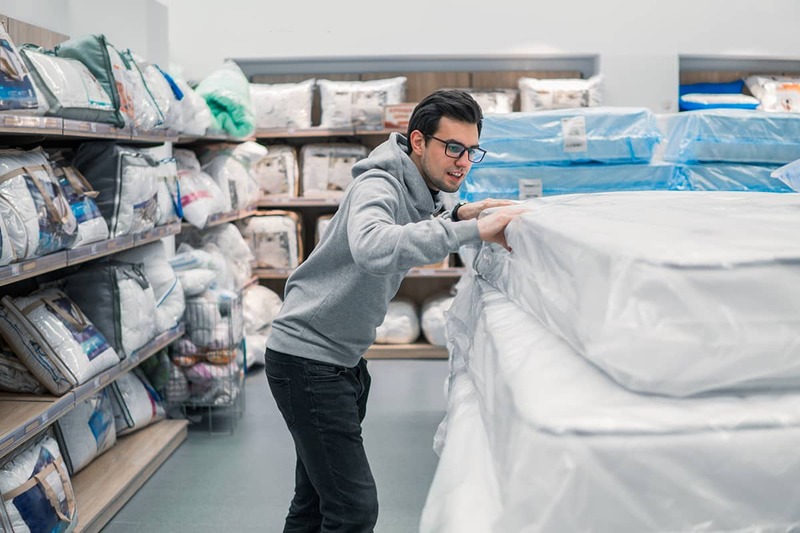 The post-Thanksgiving shopping extravaganza that is Black Friday and Cyber Monday (or Cyber Weekend for that matter) will have no shortage of mattress sales, both online and in store. To help you navigate the deals and sales, we’ve collected the most up-to-date information on discounts, sales and special offers for the Black Friday shopping weekend. Prices will be based on Queen-sized beds unless noted. This list runs the gamut from big names to smaller brands and everything in between. This post will be updated as sales are announced during the pre-Thanksgiving holiday week. Check back for updates! Serta Perfect Sleeper: Offering the “Perfect Sleeper Dare to Compare mattress event.” Savings are available in-store at your local participating Serta retailer. Learn more about Serta, here. Tempur-Pedic is offering up to $500 off of mattress sets. You can choose $300 in free accessories with a mattress set purchase or $300 off a TEMPUR-Ergo Adjustable Base with a mattress set purchase. Check out our reviews of Tempur-Pedic, here. Simmons Beautyrest: From November 15-27, the offer includes a free box spring or save up to $1000 on a Beautyrest adjustable foundation with the purchase of select Beautyrest mattresses. Mattress Firm: Doorbuster deals start Black Friday and end Sunday. They’re until noon and in-store only. The Deal is a Sonos One speaker with a select purchase of $799 and above. A $199 value according to the store. Additional deals include a free adjustable bed (up to $1198) with the purchase of a $500 mattress. There are also heavy discounts on Beautyrest, Hampton & Rhodes and Serta mattresses. Sleep Number: Now through Cyber Monday, Sleep Number is offering $200 a c-2 model (Classic Series) Queen mattress and 50% off of the iLE limited edition model (Innovation Series) in a Queen. GhostBed: GhostBed’s Black Friday and Cyber Weekend Holiday Sale includes $100 a mattress plus two free GhostPillows (a $270 value according to the company). Check out our review of the GhostBed mattress, here. WinkBeds: The company plans to offer $100 off the purchase of a WinkBed. A discount code will be available on the WinkBeds site. Take a look at our WinkBeds review, here. Purple: Instead of Black Friday, Purple is having a “Purple Friday Sale” and offering a free Purple pillow with the purchase of any mattress. This deal is while supplies last and pillows will ship separately in 1-2 weeks. To see our Purple mattress review, click here. Endy: Canadian online mattress brand Endy is offering this Black Friday Week promotion: From November 17th until November 28th, 2017, Canadians can get $65 off any sized Endy Mattress with gift code SLEEP65 at checkout. Amerisleep: Amerisleep says they are extending their current offer through Cyber Monday. That is $200 off a mattress using the promo code TAKE200. Check out our review of Amerisleep mattresses, here. Leesa: Leesa’s Black Friday Mattress Event includes $125 off a Leesa mattress and a free Leesa Standard pillow ($200 value according to the site). You can also get $250 off the Sapira mattress and a free pillow. For our Leesa mattress review, click here. You can also check out our pillow review, here. Brooklyn Bedding: Black Friday through Cyber Monday, Brooklyn Bedding will be offering $100 off their Signature mattress and 50% off sheets and pillows. They will continue to honor their current promotion of $300 off the Aurora mattress as well. You can check out our review of the Signature #BestMattressEver here, and the Aurora mattress, here. Layla Sleep: Currently Layla is offering $50 off any mattress using code Fall50. There will be a different sale for Black Friday and Cyber Monday that will be announced shortly. For a look at our Layla mattress review, click here. Nolah Mattress: Using code BLACK you can get $125 off of a Nolah mattress. This promotion ends November 25th. Check out our review of the Nolah mattress, here. Helix Sleep: $100 off your order when you purchase a mattress with any other product. Use promo code HOLIDAY17 at checkout. Read our review of the Helix mattress here or the Helix mattress protector, here. Bear: Take $150 off all purchases of $1,000 or more. Enter code 150BFCM at checkout. Or take $100 off all purchases between $500 and $1,000. Enter code 100BFCM at checkout. The promotion lasts until November 28th. Check out our review of the Bear mattress here or the Bear mattress protector (here) or Bear pillow, here. Casper: Get $150 off when you spend $1,000 on sleep products. Use code GIFT at checkout through November 28th. Check out our Casper mattress review here. You can also view our Casper pillow review here and our sheets review, here. Nectar: Their Cyber Monday sale includes $125 off plus two free Nectar pillows ($275 value according to Nectar.) Check out our review of the Nectar mattress, here. *Please note: The Saatva Company family of mattresses – including Loom & Leaf and Zenhaven, say their everyday prices are Black Friday prices and will not offer any additional discounts.